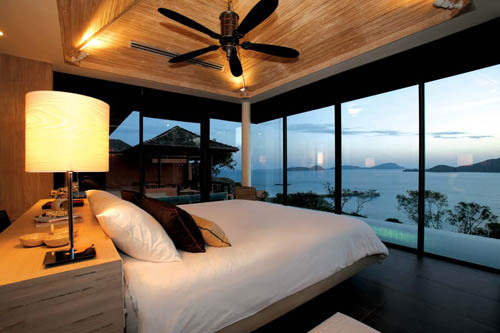 A secluded Phuket resort villa is now available for purchase and it offers space, privacy and truly unsurpassed vistas. This stunning 4-bedroom home is located within a luxury boutique residential resort, that dominates the legendary Cape Panwa. For sale is a luxurious 1,600m² home that features an incredible veranda with several living and dining areas. The layout is cleverly designed to deliver maximum privacy and awe-inspiring vista views. This incredible Cape Panwa Resort Villa in Phuket, is an amazing oasis of calm, located amidst a breathtaking 40 acres of lush, tropical rainforest. The interior of the villa is designed with ultra luxury in mind, with an elegant Asian flair, finished in stunning woods and other natural materials, with furnishings of the highest modern order. The stunning villa it is part of a 5-star resort that caters to every whim and desire. Beautiful Cape Panwa is situated on the sea just south of Phuket Town. For the most discerning buyer, this Phuket villa has it all. The views form the villa are simple amazing. With wrap-around, floor-to-ceiling windows, breathtaking views can be found with vantage points of 40 to 60 metres high above Thailand’s Andaman Sea. This Phuket villa is the perfect place to fully enjoy the finest indoor-outdoor lifestyle available. 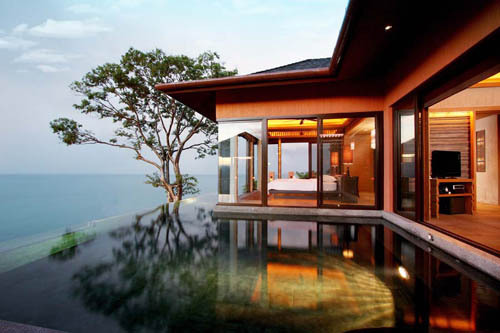 The asking price of this luxury Phuket villa in Cape Panwa is THB 280 million.